Graduation season is approaching with another class of students graduating from schools of all types in the coming months. For many people, this season marks the end of a long journey, an incredible effort, and a turning point in life — everything afterwards will be different from what came before. Most schools mark these momentous annual events with graduation ceremonies, which provide an opportunity for students to be lauded for their efforts and achievements, and for family and friends to participate in welcoming new graduates to the next phase of their lives. 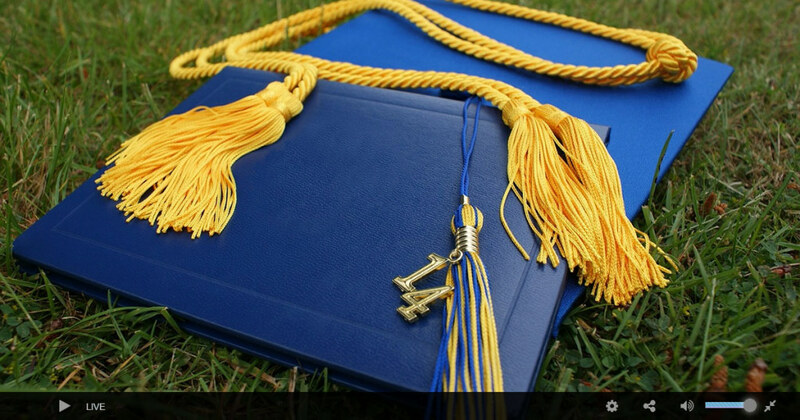 However, one issue with graduation ceremonies (like other live events) is that some people will be unable to attend. Whether because of financial hardship, physical disability, prior inescapable commitments, or simply being unable to make a long distance trip, some people are bound to miss the ceremony. One way to get around this problem is by using a camera to video and stream graduation ceremonies in real-time over the internet. The ability to stream live video has changed a great deal over the years as internet speeds have increased and the availability of high-definition cameras has boomed. Today, live video streaming is not only feasible, it’s affordable, uses relatively simple technology, and is coming to be expected for many large events. 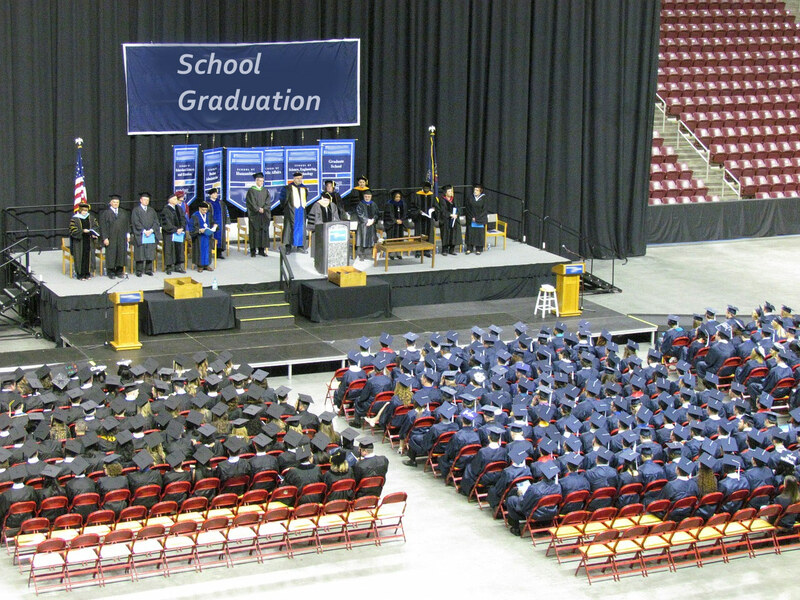 Graduation ceremonies are generally large, confusing events, and they can be difficult to film effectively. To capture good quality footage, you’re going to have to consider a few major factors. Let’s examine these in turn. The first consideration is that your camera or cameras will need good sight lines to the stage, where most of the action will take place. You may also want to consider being able to swing your camera (or having a second camera in place) to cover the audience as well as graduates walking up to the stage to receive their diplomas. This will allow you to cut away during the ceremony (if you have a live mixer) or during editing (for the recorded version of the show) to depict audience reactions, applause, and others details. This will give the show a much more lifelike appearance. To find good sight lines and camera setup locations, you’ll need to scout out the event venue beforehand. In fact, it’s best to arrive well before the event starts (we’re talking days) in case you need to purchase any additional equipment. When choosing camera locations, consider the issue of crowds—it may be an open corridor now, but when hundreds or thousands of people have arrived, will it still be accessible? One of the main challenges when it comes to recording large events like graduation ceremonies is the difficulty with audio. Unlike filming in a small room, recording audio using the built-in microphone on your camera probably won’t yield good results. Instead, you’ll need to connect your sound input (or a separate audio recorder—or both, for redundancy) to the PA system that will be used by the master of ceremonies and any students who speak during the event. You can usually jack into a PA system for recording purposes using XLR cables, which are the gold standard for professional audio. When you’re planning your audio setup, also consider crowd noise. You may want to keep it as absent as possible from your recording, but you may want to add some of the sound—applause and cheering especially—for flavor. You’ll also need a location where your equipment—not just video cameras and tripods but also a computer or encoding device for live streaming, cables, storage cases, and other gear—can be staged while you film. It can be hard to track down open space during big events, so plan ahead (and make friends with the event organizers)! That’s enough on the basics of camerawork for these events; next, let’s examine issues around live streaming. In any live streaming situation, perhaps the most important consideration is bandwidth. For a standard video connection, you will need an internet connection capable of reaching sustained upload speeds of 2-5 Mbps (that’s megabits, not megabytes). Generally, you’ll want your internet upload speed to test at about double the bitrate of your planned broadcast. Also, you’ll need to consider issues like network congestion. If you are using the public network to broadcast a graduation ceremony, for example, then chances are that several hundred or several thousand people in the audience are using the same networks to post to Facebook, Instagram, Twitter, and to send emails and videos to other family members. All of this activity can clog the connection and slow speeds to a crawl, which can completely ruin a live stream. What this means is that you need an alternate plan for live streaming rather than simply relying on 4G cell networks or public Wi-Fi. We recommend that you look into the possibility of running an Ethernet cable from a nearby dedicated network access point. This will provide high speeds (provided that the network can handle the traffic) with low latency. Another option to consider is a cellular bonding device, which is what many broadcast television stations use for outdoor live streaming to their stations. These devices require that you subscribe to data plans from a variety of cell providers (which is expensive and time consuming), but can aggregate multiple network connections (not just cell but also Wi-Fi and Ethernet connections) to provide a fast and robust network connection in nearly any location. Whatever internet access option you end up using, make sure to test it thoroughly before the event begins. One final element to consider when planning to live stream any event is choosing a live streaming video host. Your host will provide the technical backend for delivering your video via a network of high-speed, worldwide servers to make sure that your viewers have the best possible experience (with no buffering, jittering, or dropped frames). We recommend that you check out our services here at DaCast, which are considered some of the most professional, affordable, and full featured in the entire live streaming industry. 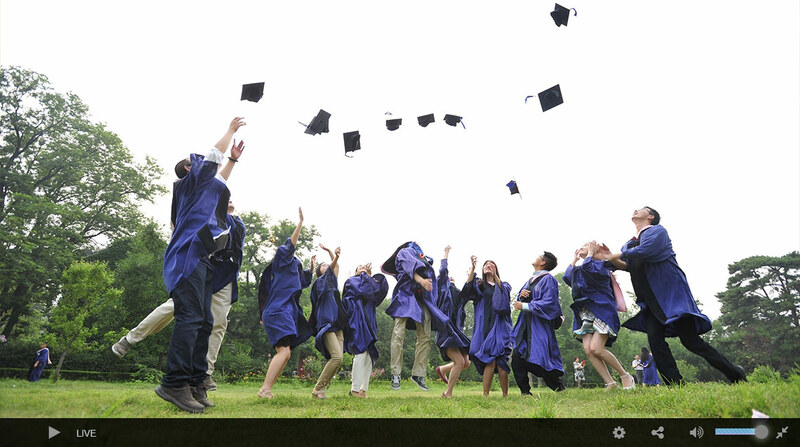 Thanks for reading, and congratulations to all the new graduates!